Home 2018 daily-help Exam pattern Expert-tips new pattern ssc ssc cgl ssc-cgl How to Crack SSC CGL in Just 30 Days? How to Crack SSC CGL in Just 30 Days? 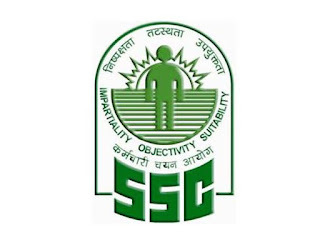 As we know, SSC Combined Graduate Level is undoubtedly the most prestigious among all recruitment exams that Staff Selection Commission conducts every year. SSC Combined Graduate Level is mostly known as SSC CGL. If you are going to attempt SSC 2018, then read this article How to crack SSC CGL 2018 in 30 days. In 2015, about 17,86,047 candidates appeared in this exam. As the number of candidates is almost certain to increase, competition will most likely stiffen this year. With little over a month remaining in SSC CGL exam (tier-II), it is time interested candidates pull up their socks and do the best they can. Check How to start preparing for SSC CGL Tier-2? Here, you must realize that systematic exam-oriented preparation, from now on till the exam, can prove to be the difference between success and failure. Keeping it in mind, the subject-wise preparation tips and approach suggested below will be most beneficial in the run up to the exam. The Maths section consists of four major areas: Arithmetic, Algebra, Geometry, and Trigonometry. Geometry is the most important among all the areas. You must give it emphasis. Trigonometry must not be avoided at any cost. Focus on height and distance as well as trigonometric identities. Data interpretation and analysis will become much easier if you have a good understanding of percentages and ratio and proportion. Algebra, including simplification, is considered a tough nut to crack. It deserves more practice as compared to other areas. Within arithmetic, profit and loss, simple interest and compound interest, time and distance and time and work happen to be the key topics. For almost all candidates, reasoning is the most scoring section of the exam. Out here, you must focus on the main areas such as Analogy and Classification, non-verbal reasoning, syllogisms, coding-decoding, blood relations, direction test, and series. Within non-verbal reasoning, the major types of questions asked in the exam are (a) mirror image and water image (b) paper cutting, punching and folding (c) figural series completion (d) embedded figures. Make sure you cover all of them. When it comes to series and finding the missing number questions, you can expect both number series and semantic series to be there in the exam. Don’t neglect statement-conclusion & statement-assumption questions from inferential reasoning. Even with limited practice, you can score 2 to 3 marks as these questions are fairly simple. Preparation for this section would include focusing on the following topics: one-word substitution, idioms and phrases, synonyms and antonyms, fill in the blanks (sentence completion), sentence formation errors, reading comprehension, sentence rearrangement, and jumbled-up sentences. Narration and active voice / passive voice may or may not be there in tier-I exam. You may overlook then if there is a scarcity of time. However, make sure you cover for the tier-II examination. Quite often vocabulary-based questions (one-word substitution, synonyms, and antonyms), as well as idioms and phrases from past SSC papers, get repeated. So, it makes a lot of sense to go through previous year exam papers and focus specifically on these questions. The difficulty level of reading comprehension passages is not high. However, some practice is needed to locate the answers to comprehension questions asked from these passages. Now, For cracking sentence error spotting problems, knowledge of grammatical rules is essential. If you find yourself lacking in grammar, you should focus on practicing English usage questions such as fill in the blanks, sentence rearrangement, and jumbled-up questions. Among all sections, GK has the most comprehensive syllabus and requires a lot of time for preparation. So, it is a must to understand the pattern of questions. While going through past year SSC questions papers, pay attention to the frequently asked questions from science, politics, history, and geography. It is quite common for these questions to get repeated in the exam. Within GK, current affairs do not carry that much weight age. So, if you are not in a position to brush up current affairs, you need not worry too much. It is overall difficult to develop a competitive edge in this section, so over emphasis on GK may not be a splendid investment of the precious time left. Apart from keeping into consideration what’s mentioned above, take at least a couple of full-length mock tests every week. It will help you locate your weaknesses and understand how to maximize your overall score.